W.S (Fluke) Holland – Father Of The Drums. 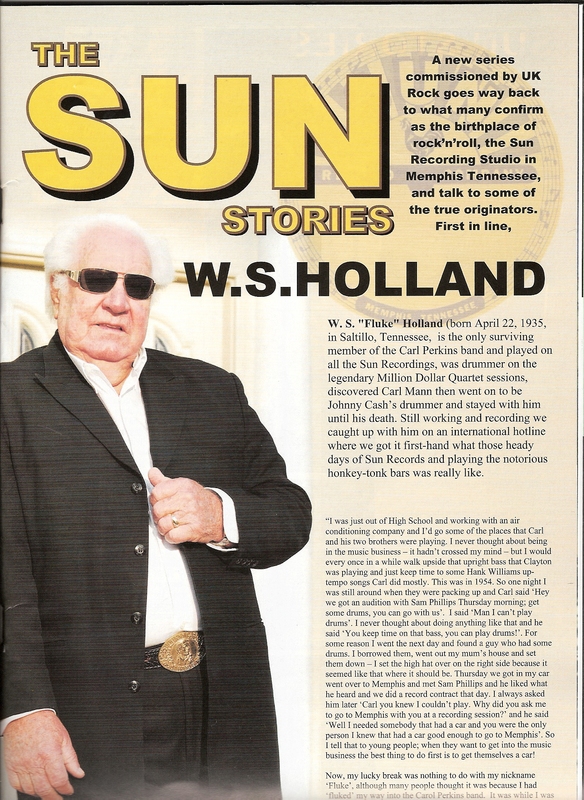 I recently had the honour of interviewing original Sun Records legend W.S. Holland. It was published in UK Rock N Roll magazine (available at all good newsagents). Here is the interview in full. The reason I am posting it now. There is a campaign to raise money to make a documentary on WS, pledges in support are asked. It is sadly looking like the funds will not be found in time. I feel that is a tragedy. If every Johnny Cash and Carl Perkins fan donated a tenner the project would be subscribed 100 x over. But it’s not too late. Here’s the link to Kickstarter where you can show your support and pledge to help make it happen. 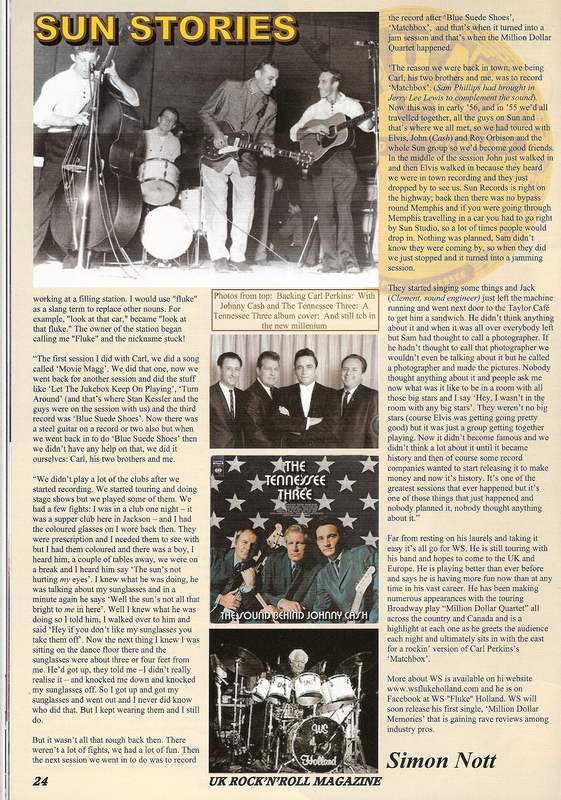 This entry was posted in Rockabilly and tagged Blue Suede Shoes, Carl Perkins, Father Of The Drums, Fluke Holland, Johnny Cash, Sam Phillips., Sun Records, WS Holland. Bookmark the permalink.